Because many of you have requested information about fishing high alpine lakes, here's the page for you! What equipment/supplies should I bring? How do I approach a pristine high mountain lake, and what flies should I bring? How do I make a cooking fire box? How do I clean and fillet a fish? How about recipes for the higher elevation cuisine? Read on. We will answer and show you what we have done for many years. First, the all-important DFI backpacking/camping checklist. (Feel free to add to or delete items of your choice!) Don't leave home without it!! Download and try these mountain recipes on your next trip! Don't forget that huckleberries start ripening anywhere from July through middle of August! Plan your breakfast around these morsels. 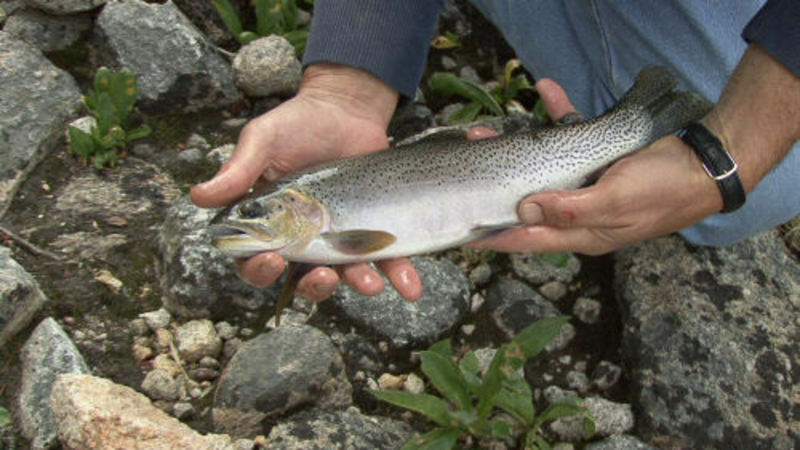 When approaching alpine lakes, here are a few tips that might help you catch fish. (1) Avoid light-colored clothing. White shirts just scream "here I am! Get away from me!" (2) Fish CAN see very well! Don't walk up to the lake and start casting away; find coverage, a tree, bush, shady area and watch what the fish are doing. (3) Always cast AHEAD of the direction you are going. (4) Avoid slapping the water with your casting; gently place the fly to your target-a "pop and drop" technique. The video below was filmed on high mountain lakes. Watch how DFI approaches an alpine lake. What flies should I bring to the mountains? Get "big" out of your mind. In the high country, there are NO stoneflies, salmon flies, or big stimulators. Terrestrials are one of the most effective groups of flies to have. The ones you MUST have in your box include: flying black ant, cinnamon ant, black beetle, and a small hopper pattern. Caddis patterns are also essential flies. The Adams caddis, Emperor caddis black, Emperor caddis green, and a hardshell caddis are very productive. Last, make sure you have high-mountain emergers and gray, brown, and hun-wing mayflies. DFI makes backpacking/camping easy! We carry custom fly boxes for just the alpine experience. 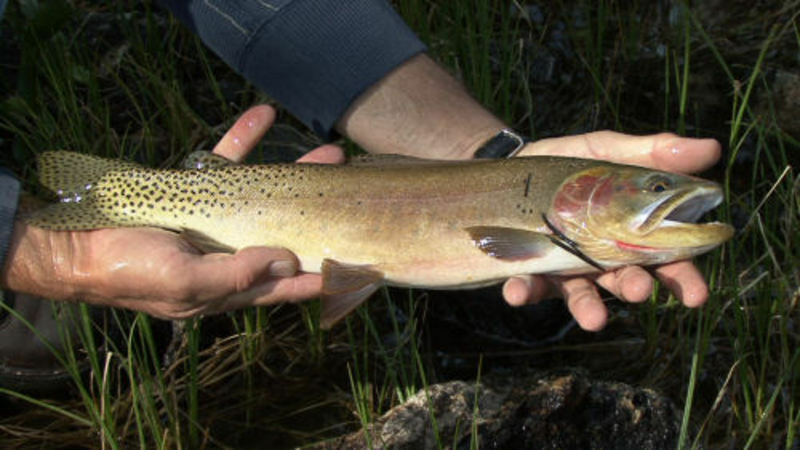 We take the guesswork out of what flies you should bring to the high mountain lake or stream. Don't forget that snowbanks make a great refrigerator for your cleaned fish or other items you might have packed. What a treat to find snow near a campsite! 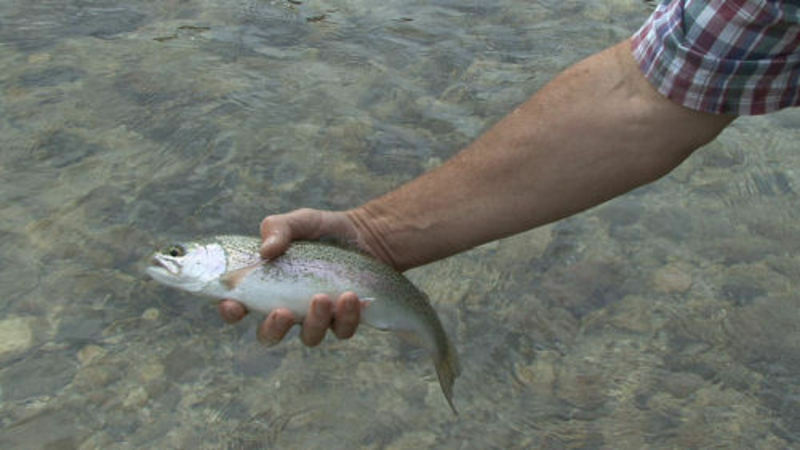 *In the state of Idaho it is very important to know the difference between a Bull Trout and a Brook Trout. 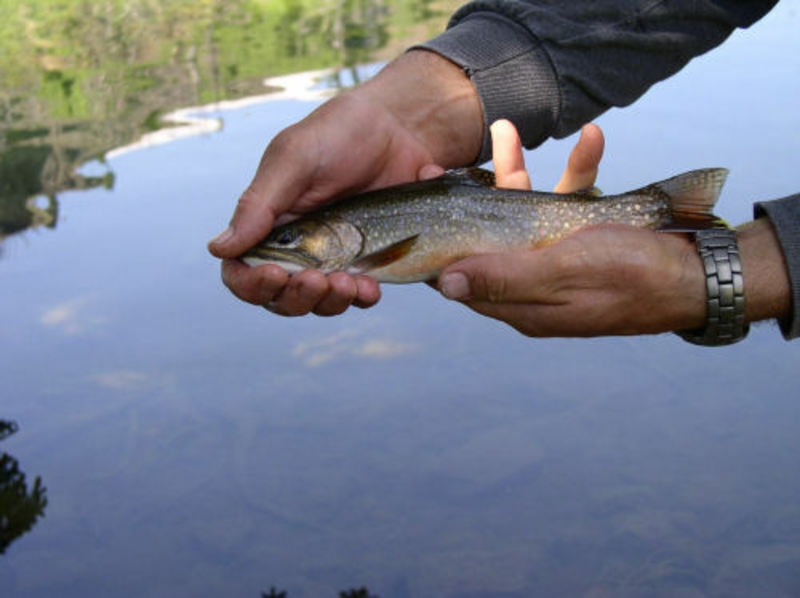 Bull Trout are illegal to keep, here is a trout reference guide from the Idaho Fish and Game that will help show you the difference between them.